If you want to get the enjoyment of beaches then Kovalam Beach cannot be an exception. Lay down your back on the soft sand of the beaches, let the waves wash away all your stresses and let your soul release all the adulterants of your daily life. 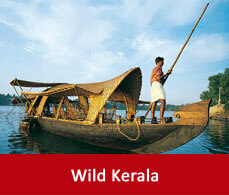 Since 1930 Kovalam has served as an important tourist beach. 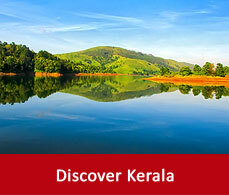 It is located at a distance of six kilometers from Thiruvananthapuram which is the capital of Kerala. Prominent as the “Paradise of the South” the beaches of this destination stretches upto 4 kilometer and has served as one of the best beaches of India.You can utilise this beach as a perfect honeymoon destination as well. 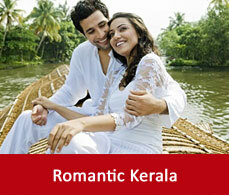 Kerala a famous honeymoon locus contains many such spots which can make your honeymoon a dream come true. 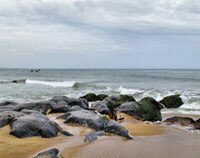 Kovalam preserve within itself many beautiful beaches. The sandy beaches are lined up by the tall coconut trees. There are many hotels and resorts as well which decorates the end borders of the beaches. Shops with Kashmiri and Tibetan products, beach wears, moneychangers get a scope to flourish their business here. So, the sightseeing of the Kovalam beaches is an integral part of the Kovalam tourism The Kovalam beaches not only boasts itself for its beauty but also for its other sports activities conducted on the beaches. There are many ayurvedic salons and spas on the beaches that give refinement to the travellers. In the evening bonfire are held by some of the tourists. You can spend your evening by smelling the burning of the woods and hearing the shouts of the tourists from different parts of the beaches. Each day the sunset in Kovalam has a new story to tell. 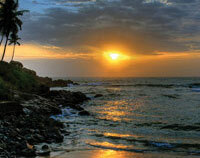 The sunsets of Kovalam is famous as it creates some new masterpiece of art with sky and its colours on each day. Some celebrations are also held during those time when the Sun scatters its vibrant colours while setting on the beaches. The Kovalam backwaters get drenches with these colours and the people create hulla-balloos at those times.Since this is a photographer’s hub and you can click some of the beautiful moments with the backdrop of divine beauty, this is prompt among all the Kovalam sightseeing places Local inhabitants also come here to spend their evenings and watch the fishermen fishing in ancient style. Kovalam beach is all adorned with hotels and resorts that offers luxury with the beach view. So, in Kovalam it is not a matter of utter problem to decide your stay. You will also get various ayurvedic massage parlours there to pamper your body. Kovalam has bloomed itself mainly because of its beach resorts and hotels that attracts tourists from all over the world. So, get the best of the hotels and make your sojourn trip elated.